Washington, DC- the capital of the United States and one of the most powerful cities on the planet- is a city with something for everyone (we love it so much we’ve called the area our home for more than a decade!). You’ll find plenty of classic photo opportunities and tourist sights to visit here, but don’t overlook some of the lesser-known opportunities to learn and enjoy what the District of Columbia has to offer. When we have friends and family in town, we don’t let them miss much from this list! 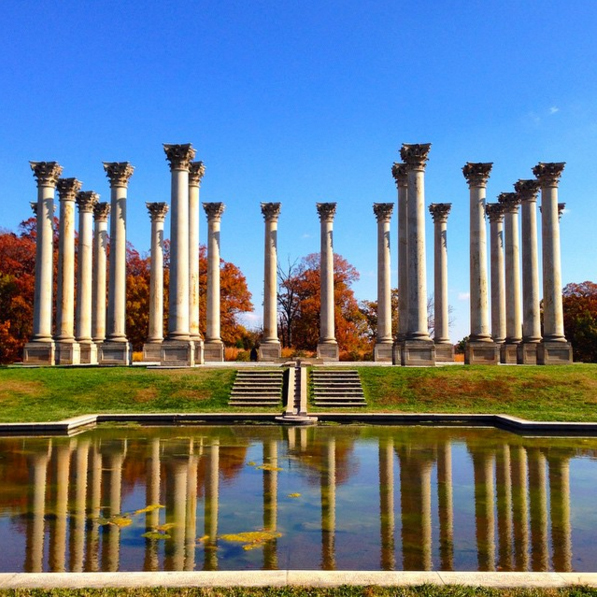 Here are our recommendations for what to see, where to stay, where to eat, and how to have a great time when you visit Washington, D.C.
Off the beaten path- way off, in fact, the Capitol Columns are located in the National Arboretum in Northeast Washington, DC. Originally built as part of the East Portico of the Capitol Building, when the dome was constructed in 1866 there was some concern that the columns couldn’t hold the weight of the new structure. Almost 100 years later, the columns were removed and sent to their new home. Come here for peace, tranquility, and a look at history most visitors have never even heard of. Especially picturesque in the fall, it’s a great place to visit during any season. The Marine Corps War Memorial boasts free parking and some great views of the city. 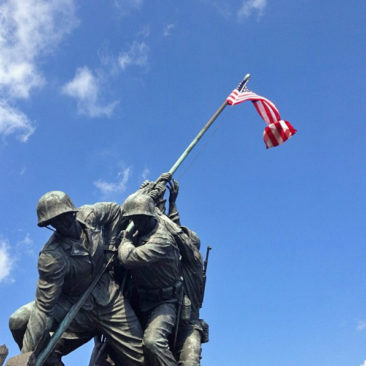 It’s walking distance to Arlington National Cemetery as well, so it’s a great stop to add if you’re looking to make a full day trip to that part of town. 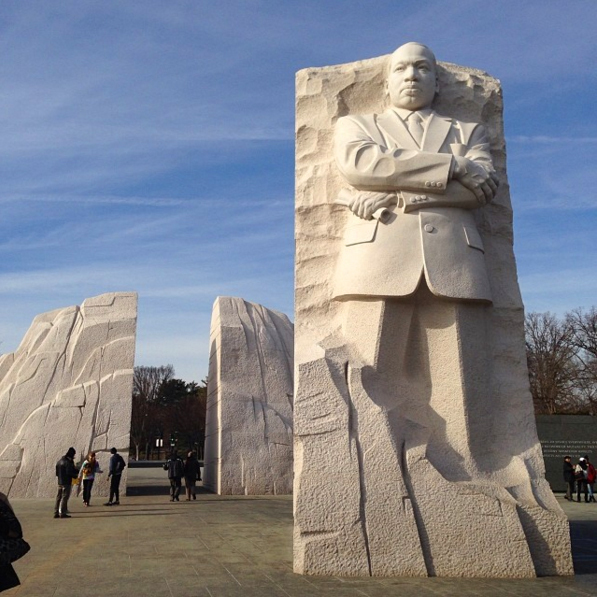 This is another must-see spot in Washington, DC. 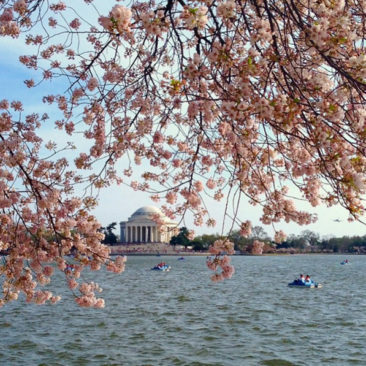 Located right on the Tidal Basin, it’s a gorgeous place to walk, take pictures, and people watch. You can also rent a paddle boat and enjoy the view of the memorial from the water. 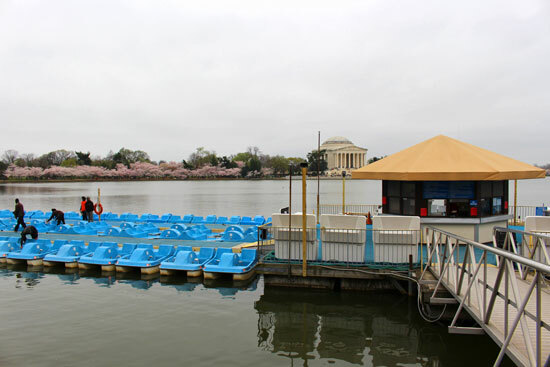 It’s a popular destination in the spring months during the National Cherry Blossom Festival. Located in Arlington, the Air Force Memorial is a surprisingly great place to see the Washington, DC cityscape. 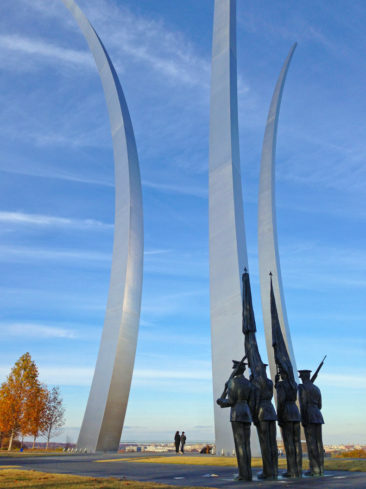 The three steel spires were designed to replicate the contrails left by the Thunderbirds as they perform a precision “bomb burst” maneuver. A bonus here is free parking (it’s not too close to a Metro station, so a car is recommended). The view of the Washington Monument from the tidal basin. This is about as classic Washington, DC as you can get. 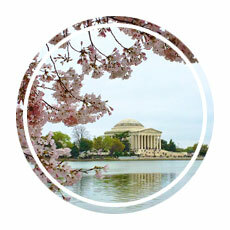 Go online and reserve a time to visit the top of the moment, where you’ll be treated some incredible views of both Washington, DC and Arlington, Virginia. 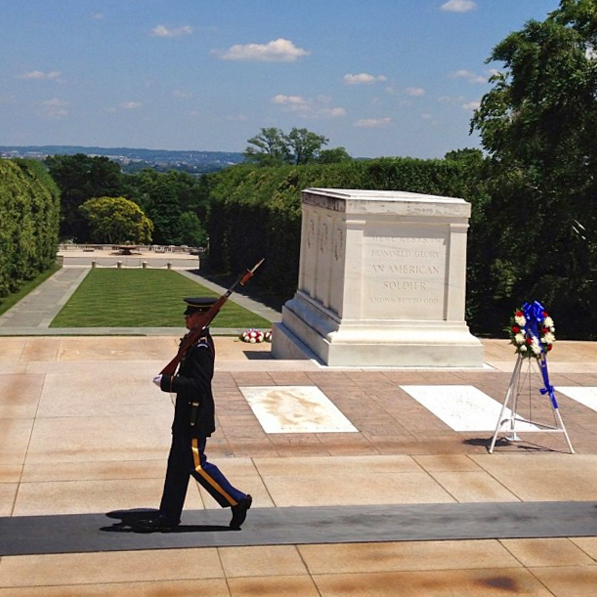 Reservations are only $1.50 online, though they can be made for free at the monument’s ticket booth- but in-person reservations can only be made for same day visits and often go quickly in the morning, so spend some time before you visit to save yourself any potential disappointment. The Washington Monument is definitely worth seeing. The World War II Memorial is located right next door to the Washington Monument. The memorial fountains and state markers that make up the memorial. 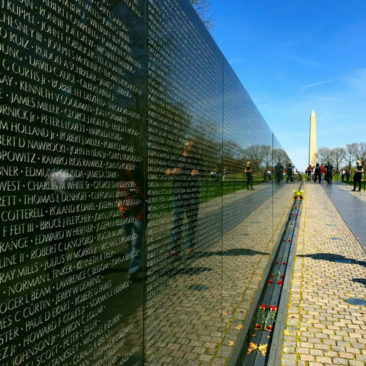 Granite pillars representing each of the USA’s states and territories, arches symbolizing Europe and Asia, and a solemn wall of stars dedicated to lives lost during the war surround a pool of water. Although it’s common to see young children playing among and chasing each other through the memorial’s architectural elements, it’s a touching tribute to the 400,000 people from the USA who made the ultimate sacrifice. 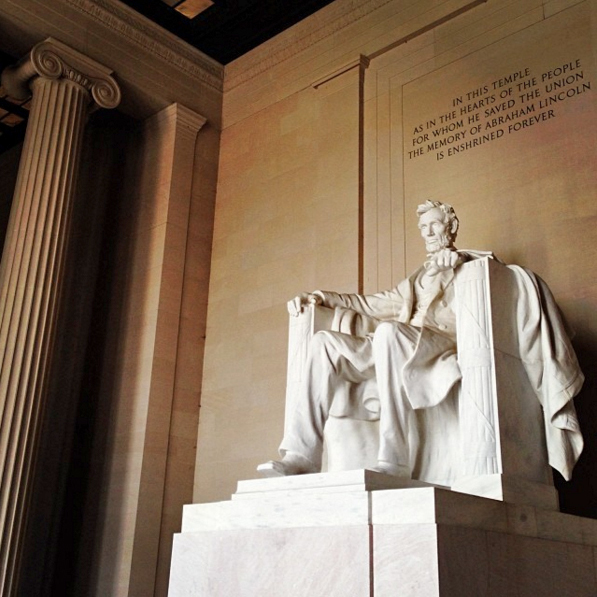 The memorial to the 16th president of the United States is one of the most iconic spots in Washington, DC. 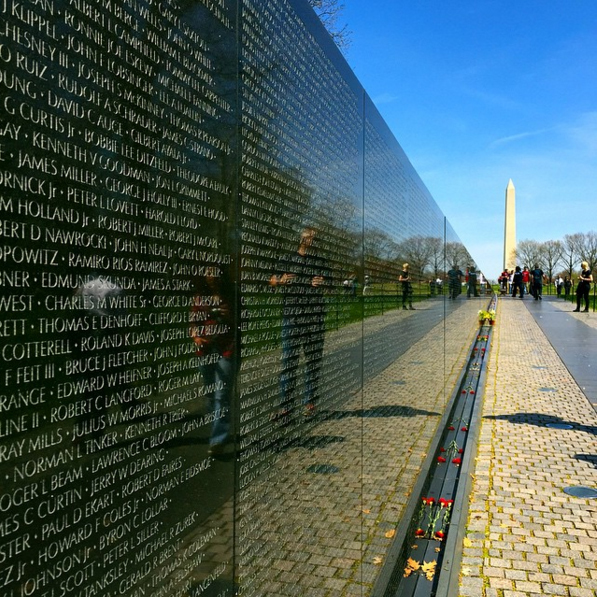 Enjoy the view from the reflecting pool and be sure to visit the neighboring Korean War Veterans Memorial, Vietnam Veterans Memorial, and Martin Luther King, Jr. Memorial- all just steps away. Gadsby’s in Old Town Alexandria, Virginia (just across the bridge from DC) is one of our favorite places- we love it so much we got married there! Frequented by such guests as George Washington, Thomas Jefferson, and James Madison, you’ll get a glimpse at life during a very different time in our history. Listen up for the spooky tale of the Female Stranger- and watch for signs of her ghost in Room 8. 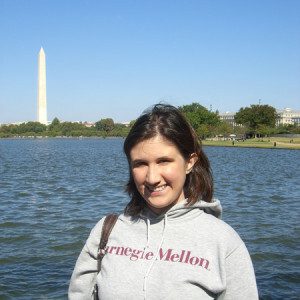 Washington, DC has an enormous selection of high quality restaurants. Whether you’re hungry for local cuisine or something from the other side of the globe, you can find it in this town. It’s hard to narrow down our favorites, but these are a few that we would recommend. Ben’s is a Washington, DC staple. 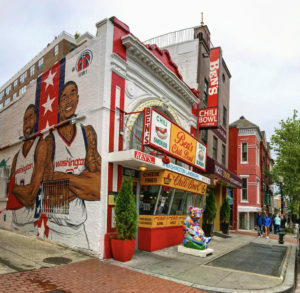 Barack Obama, George W. Bush, Wolfgang Puck, Anthony Bourdain, and Bono have all stopped by Ben’s Chili Bowl for a half-smoke, and just one bite of this local delicacy will tell you why. Expect long lines during prime meal times and late at night, but you’ll also find lots of seating and quick service, so don’t let the crowd scare you off- and besides, you know it’s good if people are willing to wait for it. The oldest saloon in Washington, DC. Just steps from the White House, Old Ebbitt Grill has been a DC fixture since 1856. It’s a popular spot for lobbyists, political insiders, journalists and politicians- so you never know who you’ll see when you visit. Enjoy cocktails and drinks from one of the four bars (the Old Bar, the Oyster Bar, Grant’s Bar and the Corner Bar) and be sure to try the oysters. Look for the Walrus head on the wall, it was bagged by none other than Teddy Roosevelt, 26th president of the United States. This has been a Georgetown landmark for more than 80 years, and every president from Harry S. Truman to George W. Bush has dined at Martin’s. One of the booths even has a brass plaque to commemorate the spot where John F. Kennedy proposed to Jacqueline Bouvier in 1953. Dine on traditional pub food and classic cocktails. Martin’s Delight, their version of the hot brown, is a specialty. We had the original Hot Brown when we visited Kentucky and the Hot Brown at Martin’s is just as good. We fell in love with Balkan cuisine during our visit to Croatia, Montenegro, and Bosnia– so we were thrilled to find an authentic Balkan restaurant in our hometown! They have two locations, one in Washington, DC and another across the river in nearby Clarendon, Virginia. We always enjoy introducing friends and family to Balkan cuisine, and the food and service at the Clarendon location cannot be beat. This is one of the best Washington, DC area restaurants! We created a map that marks each of the main items in this post for easy reference. We hope this helps you plan your day (or week) visiting Washington, DC. The Alexandrian in Old Town Alexandria is beautiful and well-located; the hotel is about a 10-15 minute walk from the Metro (or just five minutes if you take the free King Street Trolley) but right in the middle of gorgeous King Street, and you’ll get great customer service and comfortable rooms. Old Town Alexandria is located just across the river from Washington, DC and it’s a fun place to explore. This historic hotel, located just steps from the White House, is one of our favorite hotels in Washington, DC. Listed on the National Register of Historic Places, the W is a popular gathering place for politicians, lobbyists, and tourists looking to spot famous politicos. The rooftop bar is famous for having an incredible view of the city- you can usually stop by even if you don’t have a reservation! The location was even featured in The Godfather: Part II under its original name; Hotel Washington. 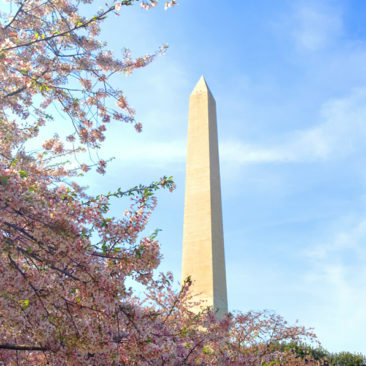 Conveniently located to Ronald Reagan Washington National Airport, Crystal City (Arlington, Virginia) is a five minute cab ride or one stop on the Metro, and it’s 10-20 minutes into the city when you’re ready to sightsee. Consider the Residence Inn (which offers a free shuttle to the Metro if you don’t want to walk, free breakfast, and weekday happy hours) or the Marriott or the Hyatt, which are convenient to public transportation. 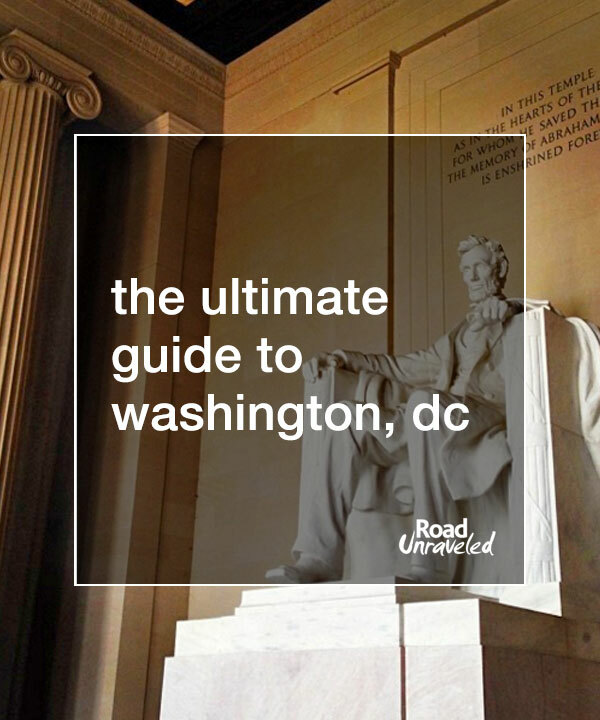 Washington, DC has a lot to offer, but if you have access to a car you can check out even more exciting places that are located within a short drive from the district. In fact, the region around DC is commonly lumped together and referred to by locals as “the DMV” which is an acronym for District, Maryland, and Virginia. 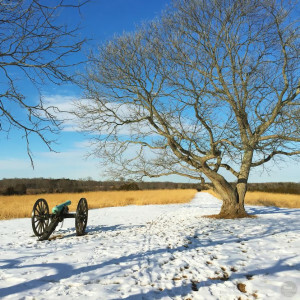 There are countless historic sites, museums, and landmarks throughout Washington, DC and the neighboring areas of Northern Virginia and Maryland, but some of our favorite places to visit are the American Civil War Battlefields. There are at least seven Civil War Battlefields located within an hour and a half drive from Washington, DC’s Dulles International Airport. 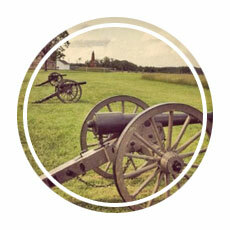 We recommend renting a car to spend a day exploring some of the most historic locations in American history. Our blog post below provides additional information on the battlefields, including Google Maps and recommended tips for your visit. Virginia wine country is our personal home away from home. 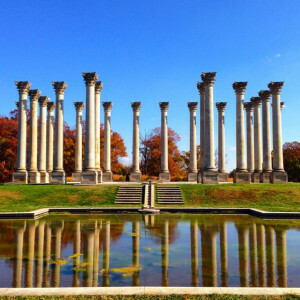 Washington, DC’s neighbor state of Virginia is rightfully earning a reputation as one of the top wine regions in the world, and you’ll find dozens of wineries producing some really interesting varietals within an hour’s drive of DC. For something new, check out Norton wines- Norton grapes are native to Virginia. The best place to try Nortons (and other inventive wines) is Chrysalis Vineyards in Middleburg; also consider Naked Mountain Winery in Markham, Breaux Vineyards in Purcellville, and The Winery at Bull Run in Centreville. Thomas Jefferson’s Poplar Forest plantation, just south of Charlottesville. Located about 2-3 hours by car from Washington, DC, Charlottesville is a great day trip or overnight trip. Check out the University of Virginia campus where you can see the room of one of University of Virginia’s earliest students Edgar Allan Poe. Visit Thomas Jefferson’s Monticello (author of the Declaration of Independence), see the historic downtown mall, and enjoy even more great Virginia wineries (Barboursville, Flying Fox, and Glass House are among our favorites). You’ll pass signs for Montpelier on your way. 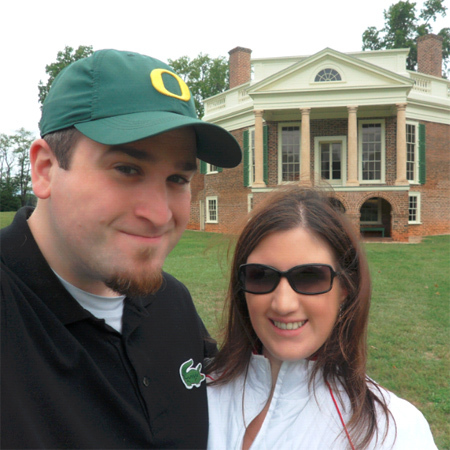 It’s the home of James Madison (father of the United States Constitution) and it makes a great side trip as well. As an added bonus, Monticello and University of Virginia are two of the UNESCO World Heritage sites in the United States! Drive an hour east of Washington, DC and visit Maryland’s capital city on the shores of the Chesapeake Bay. The Chesapeake Bay is a popular destination for fishing, swimming, sailing, and kayaking. It’s also famous for being a source of incredible seafood- specifically the blue crab. On a sunny day it’s a perfect place for a casual walk, great seafood, and even boat tours. Don’t miss out on trying the incredible crab cakes while you’re there- we highly recommend a trip to Cantler’s. 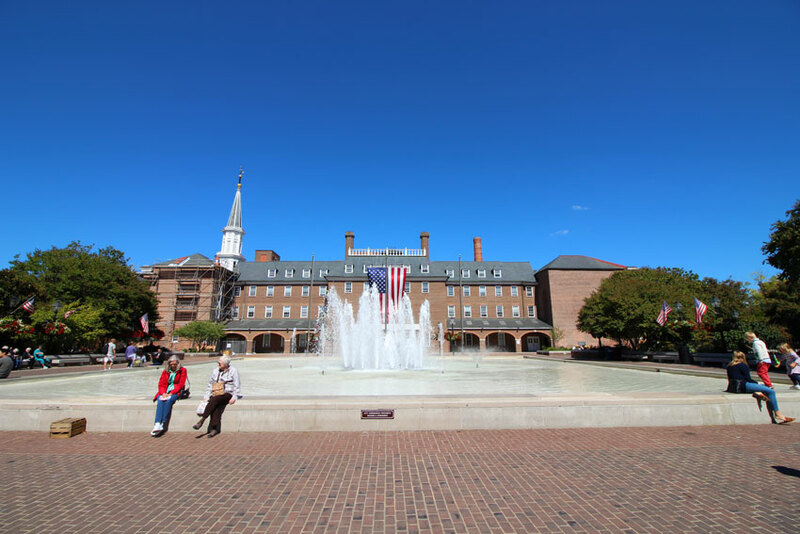 Annapolis is also home to the United States Naval Academy and they offer wonderful guided site tours, museums and attractions for tourists. 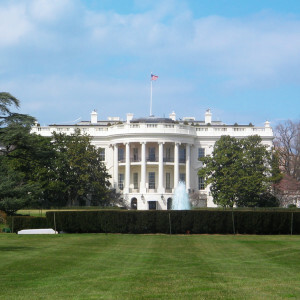 You don’t need to visit Washington, DC with a big budget! The Smithsonian museums (Air and Space, Natural History, American History, Portrait Gallery, etc.) 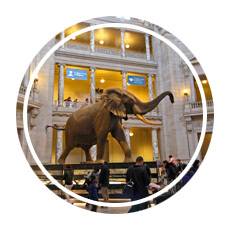 are completely free to the public, as is the National Zoo and the National Archives. However, there are museums that charge an admission fee, like the Spy Museum and the Newseum. Balance your time between free and paid options to maximize your money. Visit the tourist attractions at off hours. 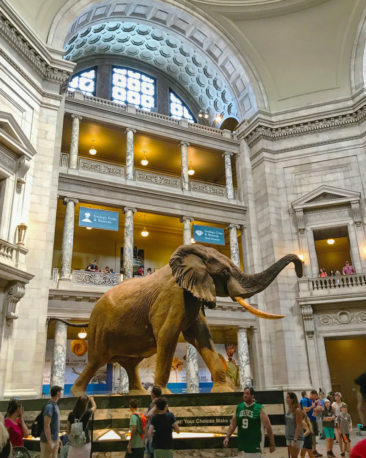 Union Station, the Smithsonian museums, the National Archives, and other popular attractions get particularly busy around lunchtime and stay packed throughout the afternoon- consider arriving when they open to get some quiet one-on-one time with the exhibits. 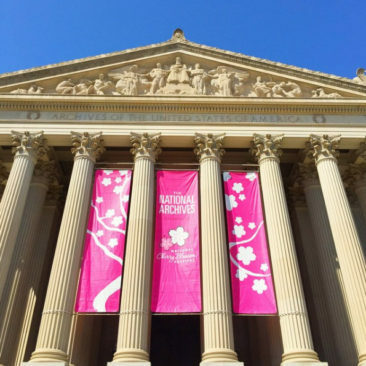 Keep in mind spring and summer are busy months as well; visitors to the National Cherry Blossom Festival and school field trips pack the sights during the spring, and families make the most of school vacation time in the summer. Consider visiting in the cooler autumn months, or try to schedule your personal itinerary with the peak visitation hours in mind. Don’t forget the monuments are outside and accessible 24 hours a day-and they are beautiful at night! This can save you a little money when you visit Washington, DC. Every DC Metro station has a kiosk or two dedicated to the sale of hard plastic SmarTrip cards, which are rechargeable. You can also order them online. Using a SmarTrip card instead of a paper fare card will save you $1.00 per ride on the Metro. SmarTrip cards cost $10, but they come preloaded with $8.00 in Metro fare money, which means the card itself will only set you back $2.00- and you’ll make that back with the money you’ll save on two rides! A tour can help you get the lay of the land in Washington, DC. You’ll have many options- duck boats, segways, walking, hop-on hop-off buses, and others to choose from, but tours are a convenient and sometimes more personal way to experience the city. Tour guides often have local perspectives to share, which can enrich your knowledge beyond what signage and pamphlets can provide. Many tours launch from Union Station, so that’s a good place to start if you haven’t made reservations in advance. 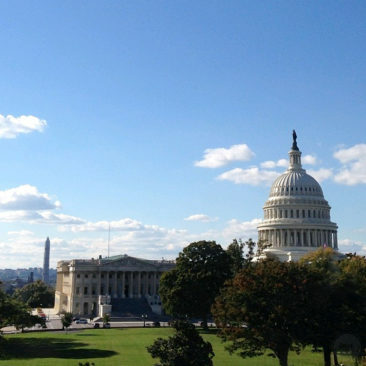 Plan ahead if you want to visit the U.S. Capitol, the Pentagon, or the White House. 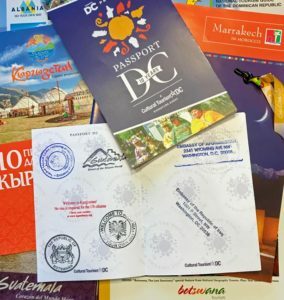 Each of these destinations offers tours, but you must pass a security clearance at least 15 days prior to your visit. Your representative can help you to secure these tours, so consider contacting his or her office if these destinations are on your must-see list. If you are visiting from another country, your embassy in Washington, DC can help you with scheduling a tour. 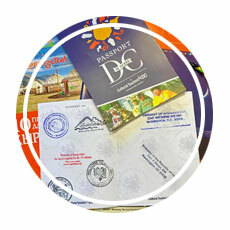 Don’t forget to buy a passport to collect a stamp at each embassy! 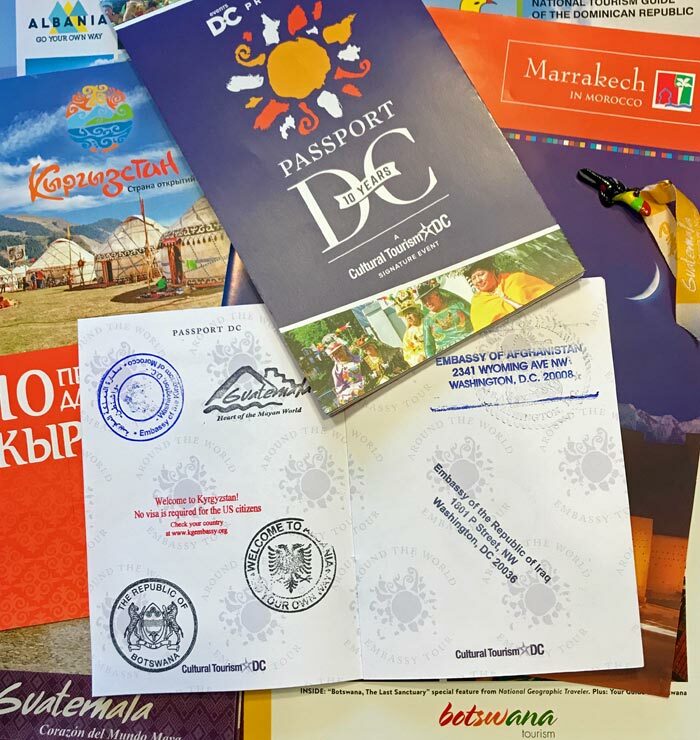 Washington, DC is home to more than 175 embassies, and if you visit in the spring you can take the Around the World Embassy Tour! Embassies are usually closed to the public, especially without an appointment, so it’s rare to have a reason to walk through an embassy’s doors. One day each year, however, you have their invitation to peek inside. Cultural Tourism DC organizes the annual event as part of a month-long celebration of Washington, DC’s international community. 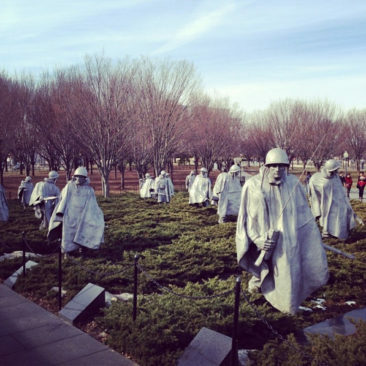 Take a look at our post to learn more about this wonderful DC tradition! No trip to Washington, DC is complete without visiting a couple of museums, but in a city with so many how do you choose? We put together a massive guide to some of the best museums in the city to make it a little easier to decide. 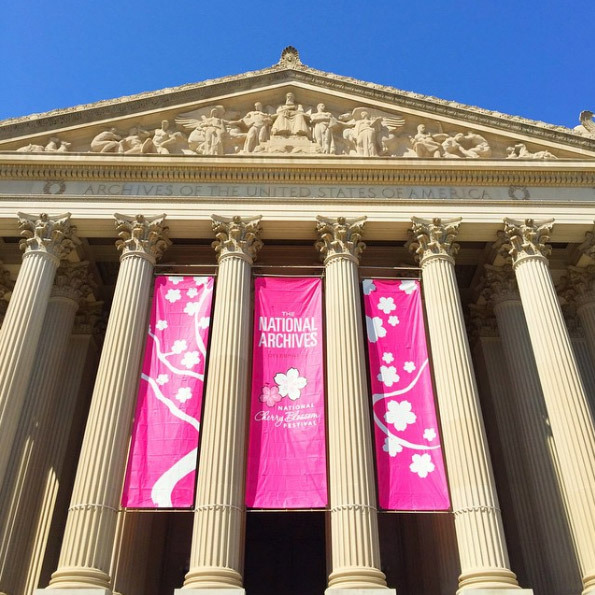 Our Ultimate Guide to Washington, DC Museums shares 40- yes, 40!- of our favorites. 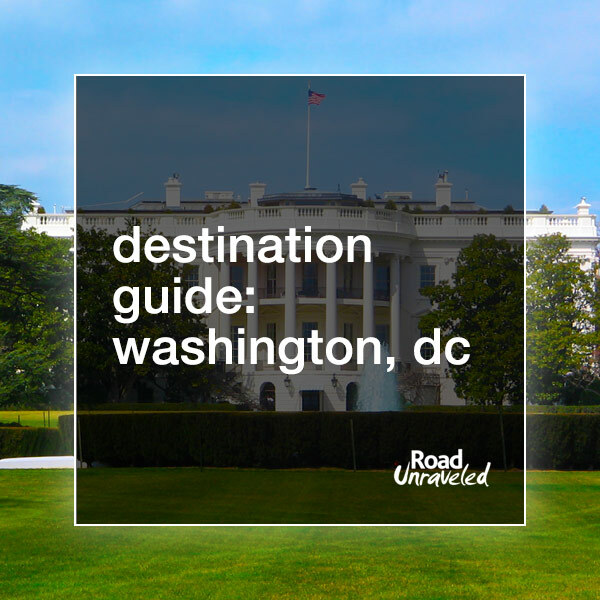 From highlights to location and everything from Smithsonian to the International Spy Museum, this guide can help you plan your next trip to Washington, DC. 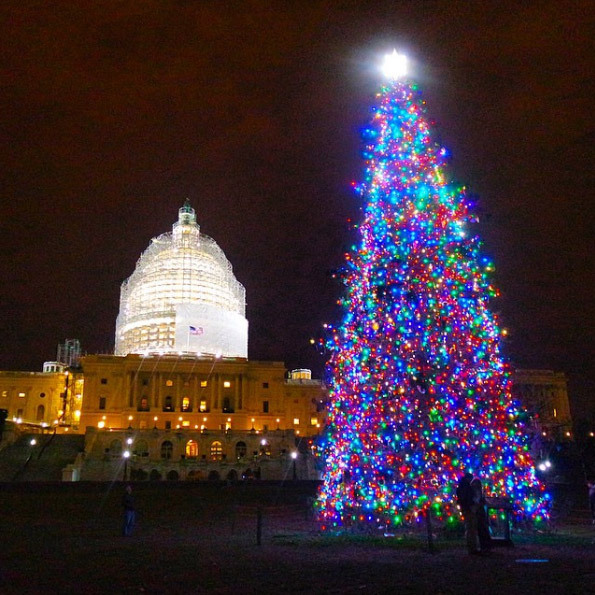 The Christmas season is an amazing time to visit DC. The National Christmas Tree outside of the White House and the Capitol Christmas Tree are both excellent if you are visiting in December. You can also attend one of the many performances of the Charles Dickens classic A Christmas Carol at the historic Ford’s Theatre. This is good advice if you don’t want to stand out as a tourist- or irritate the locals. The DC Metro system is expansive and will take you close to the majority of the places you want to see, but DC Metro escalators require a little bit of etiquette. Stand on the right side of the escalator if you don’t plan to walk up so those who want a little extra exercise can pass.